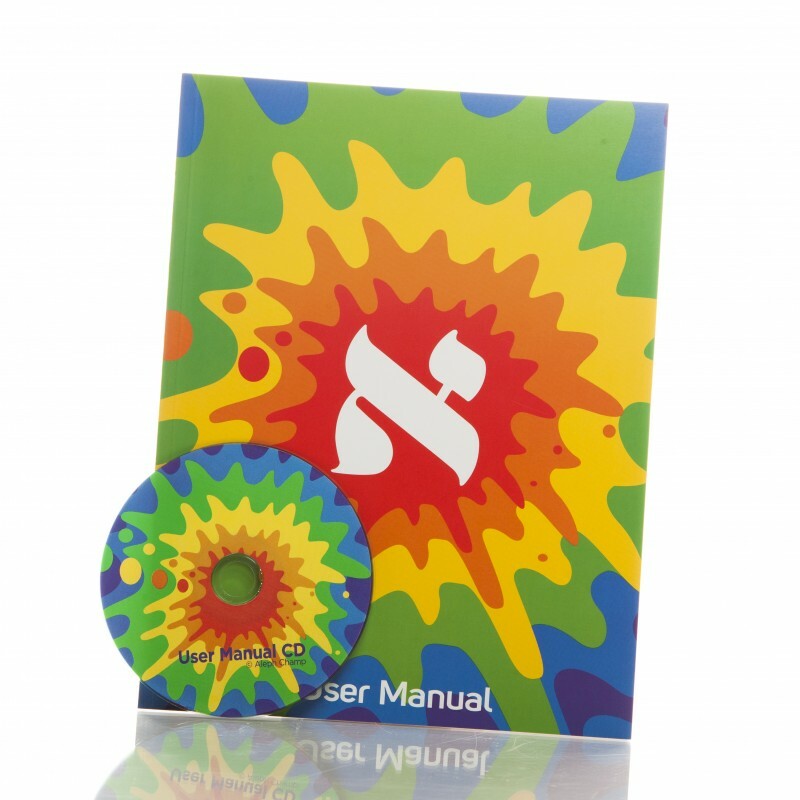 Chock-full of photos, information and useful files, our User Manual & CD has everything you need to create a successful Aleph Champ program. Presenting: The all-new Aleph Champ User Manual. UPDATED! This in-depth guide is a must-have for all teachers and directors using Aleph Champ. It is chock full of explanations, resources, activities, tips, and pointers to help you maximize the program successfully. Treat it as your personal AC coach. We recommend for each staff member to have their own copy. Our User Manual CD stands alone. Loaded with computer files of vital classroom resources and enhancements, this CD makes it all accessible and re-printable whenever necessary. Includes Bookmarks, Schedules, Assessments, Half N' Halfs, Flashcard Mat, Coach Badges, Certificates and much more. Buy together and save $30.00! This in-depth guide is a must-have for all teachers and directors using Aleph Champ. It is chock full of explanations, resources, activities, tips, and pointers to help you maximize the program successfully. Treat it as your personal AC coach. Our CD is loaded with computer files of vital classroom resources and enhancements, this CD makes it all accessible and re-printable whenever necessary. Includes Bookmarks, Schedules, Assessments, Half N' Halfs, Flashcard Mat, Coach Badges, Certificates and much more.